Once a species is considered extinct, it usually stays that way. But not so for an Australian stick insect that had been considered extinct since the early 1920s, and officially extinct by 1986. Alas, they have come back from the dead. Researchers at the Okinawa Institute of Science and Technology Graduate University (OIST), in collaboration with Zoos Victoria and the Australian National Insect Collection (CSIRO), have used next generation sequencing to confirm that the Ball’s Pyramid insects are indeed the same species as Lord Howe Island’s. And thus, the long-lost stick insect has been officially resurrected, contributing to the conservation efforts that are underway. The paper will be published in the journal Current Biology. 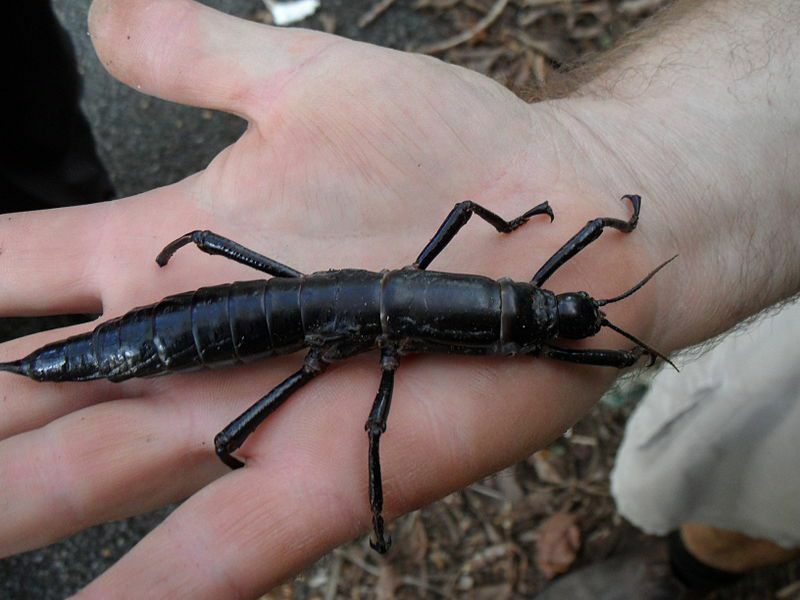 For the study, the OIST researchers assembled mitochondrial genomes from both captive-bred Ball’s Pyramid island stick insects as well as preserved specimens of Lord Howe Island stick insects from CSIRO’s Australian National Insect Collection, that were collected before the species was declared extinct. The researchers then compared the genomes and discovered that despite the observable differences between the two insects, their DNA diverged by less than 1%. This percentage is within the range of intraspecific variation, meaning that they are similar enough to be declared the same species. There is now strong government and community support for eradicating the black rats from Lord Howe Island, which would provide the opportunity to reintroduce the insect into its native home. The genetic data gathered by the research study will also be useful for tracking the health and expansion of any reintroduced populations. Professor Mikheyev points out that the research study’s success is important for more than just the stick insect’s continued survival. For example, it demonstrates how, with next generation sequencing technology, museum specimens have become gold mines of genetic data. Whereas in the past researchers could do little more with specimens other than observing them, or risking damage them with more in-depth studies, they can now sequence entire genomes of long-lost species.